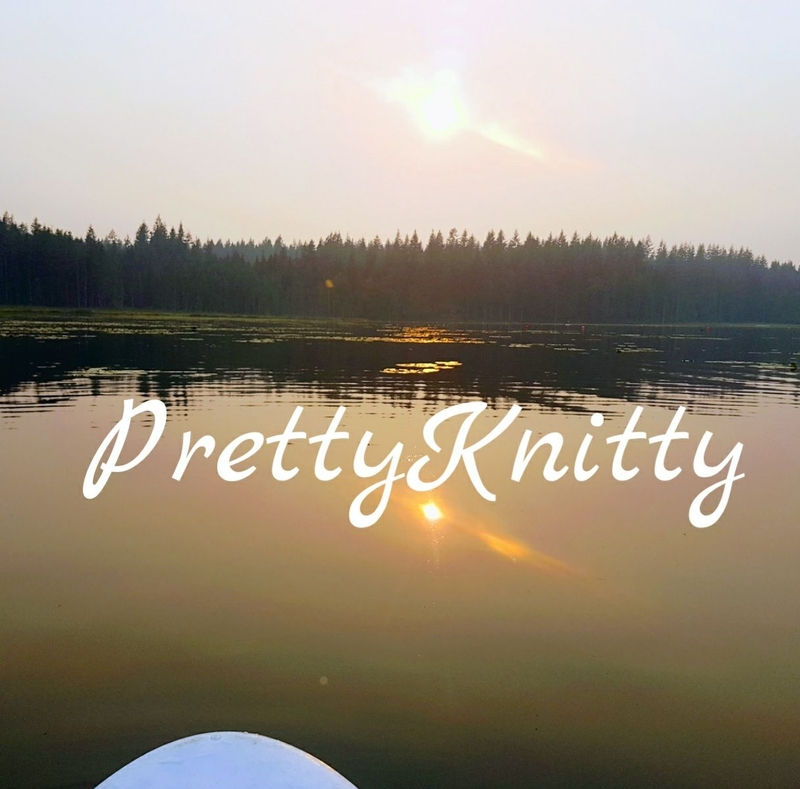 Pretty Knitty – Journeying thru the fiber world, learning new skills, being challenged and making connections. Mother of 3 beautiful smart and hilarious children. Devoted wife to a devoted hubs! Crafty as a mofo 😉 I paint (oil, acrylic & watercolour), I knit, I crochet. I will try anything once and usually give it a second shot if I don’t think i got it the first time! I love being outside and take every opportunity available to be crafting outside on my patio or out painting en plein air. Of course being in canada it’s a bit chilly to do alot of the outside stuff in the winter so I mainly hibernate until spring comes! haha! Knitting to me is one of the most relaxing ways to express myself creatively. I find my stress levels go down when I figure out and hit my stride in a pattern. Plus the satisfaction of seeing the finished object is tremendous! Since I’ve started knitting and crocheting I have become very interested in making stitch markers and pom poms to use during my projects. As such I’ve made alot of these super adorable notions that I know sell at my etsy shop! You can find me on tuesday nights usually knitting with the ladies at Once Upon a Sheep in Maple Ridge, B.C. Or online here in my blog! Comment and I will reply! Follow these links to my facebook page or instagram page.